These garden villas are located right across the road from the resort. Beach can be accessed through the main resort just over a minute walk. Stand Alone in a compound that has a swimming pool and gym facilities. 1st Room has one king bed / 2nd Room has two single beds. Upto 2 extra mattresses can be added in each villa at additional cost. Each Garden Villa has its own kitchenette, dining, lounge area. 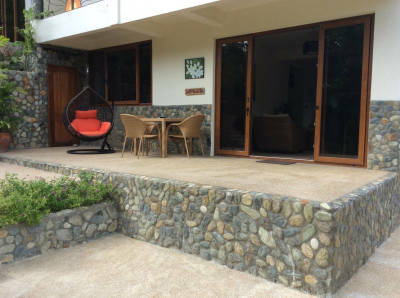 Seaview Villas offer a panoramic view of the West Philippine Sea and the lush nature of the island. 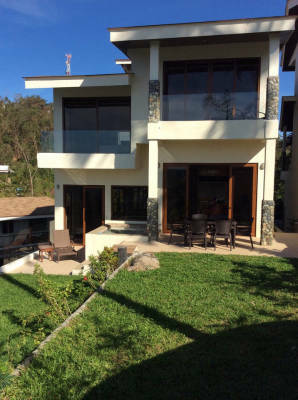 These SEAVIEW villas are located right across the road from the resort. 1st Room has one king bed / 2nd Room has one queen bed. Each Seaview Villa has its own kitchenette, dining, lounge area.